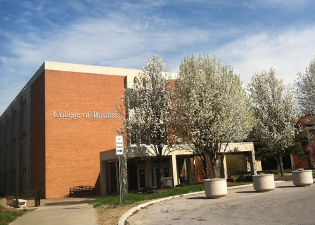 Four candidates for dean of the College of Business will meet with constituents during a series of forums beginning next week. Terry Clark, professor, Department of Marketing, College of Business, at SIU Carbondale. Jason Greene, interim dean and Henry J. Rehn Professor of Finance, College of Business, SIU Carbondale. Rick Kolbe, professor, Department of Marketing, College of Business, Northern Kentucky University. Gary Koppenhaver, professor and chair, Department of Finance, Insurance and Law, College of Business, Illinois State University. The dean is the chief academic and administrative officer for the College of Business and is responsible for its academic programs, fiscal management, personnel, external relations, recruitment and retention, among other areas. All candidates must have a strong record of academic leadership and administrative experience. The forums, which will include a presentation by the candidates, will give university students, staff and faculty an opportunity to meet with the candidates and ask questions about their proposed approaches to the position, and done in conjunction with their interviews. The candidates will speak on “Opportunities and Challenges for the 21st Century College of Business.” The forums are open to the public. Full curriculum vitas for each of the four candidates, along with candidate review forms, are available at http://pvcaa.siu.edu/current-searches/Searches.html. Kolbe: 1-2 p.m., Thursday, Feb. 25, Morris Library, John C. Guyon Auditorium. Greene: 1-2 p.m., March 1, Morris Library, Guyon Auditorium. Koppenhaver: 1-2 p.m., March 8, Morris Library, Guyon Auditorium. Clark: 1-2 p.m., March 10, Morris Library, Guyon Auditorium.